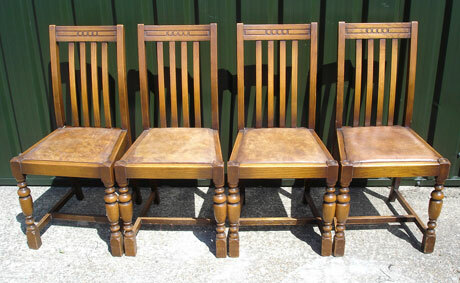 From the Classic Bentwood Chair (we have many styles of this beauty see the Bentwood Chair Page) to sets of 4 or 6 Oak Pub dining chairs from the 1930's and 40's,(again so many different styles, most with easy to upholster drop-in seats), to the finer, more delicate Queen Anne Style Walnut or Mahogany Pub Chair, for the refined punter (who won't rock back on the chairs legs!!) 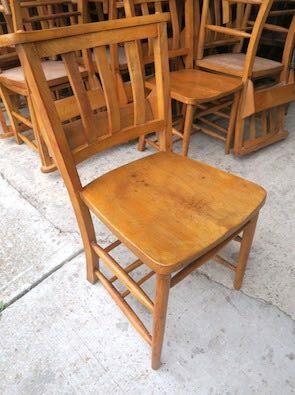 Or how about old, comfortable Kitchen Chairs, making up the rustic partof this lot, all lovely individual chairs for a more refined dining area. 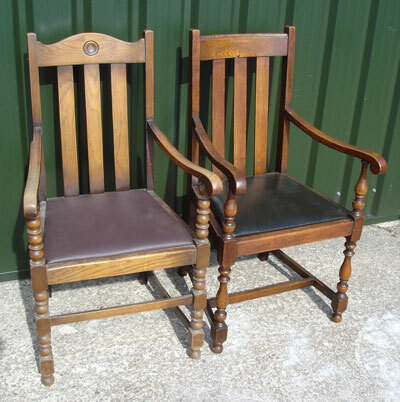 Our regularly changing stock of these old chairs allows us to sell individual items, or larger sets, depending on your requirements. 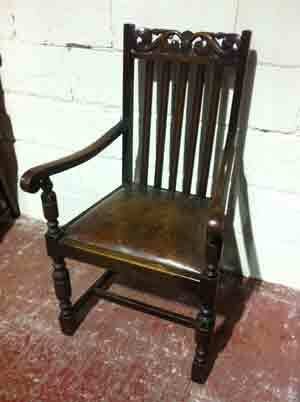 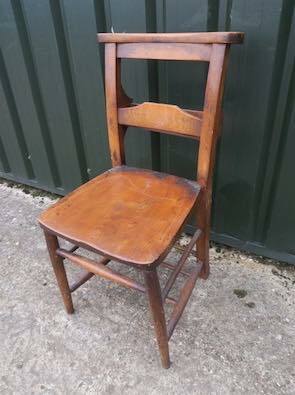 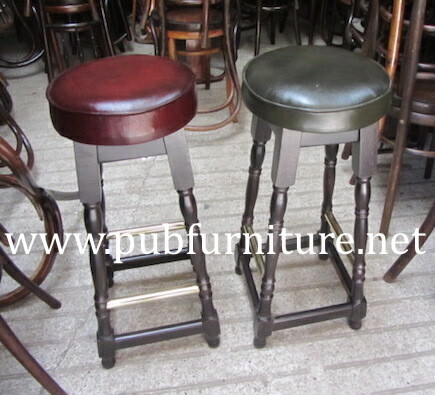 The reclaimed pub chairs below give you an idea of the different styles we stock. 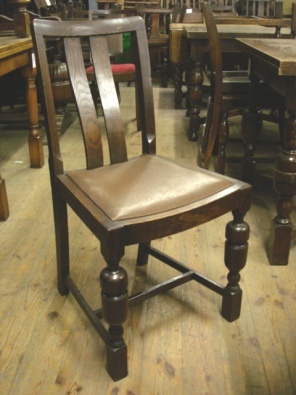 We do get sets of pub chairs that have their original seat covers but sometimes they are worn out, so we re-upholster them in leather or leatherette, like this set, giving them an easy clean finish. 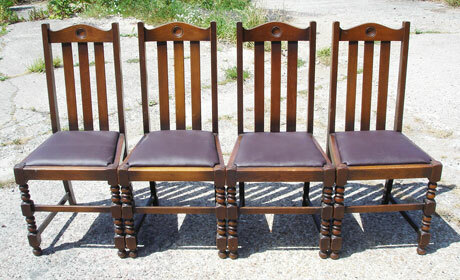 This set have a high back , we also have sets with lower backs. 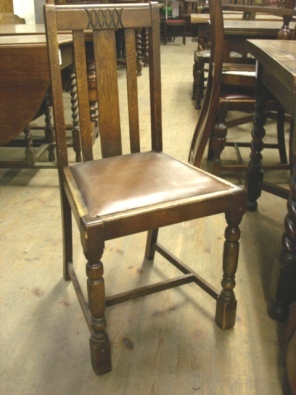 This set of oak pub chairs has its original seat covers. 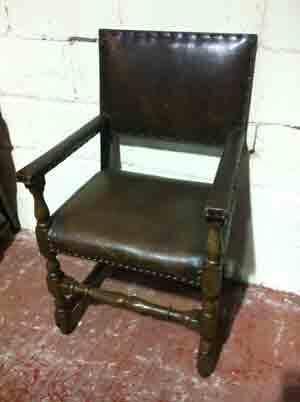 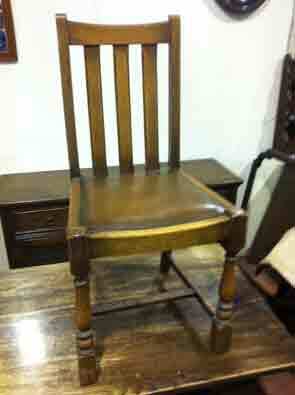 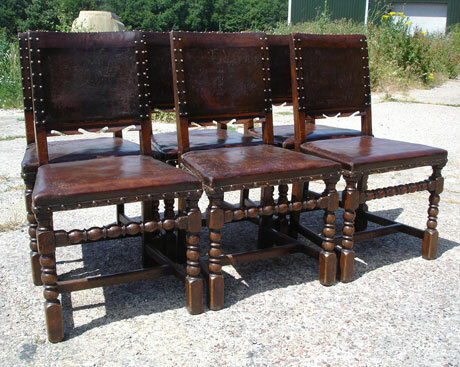 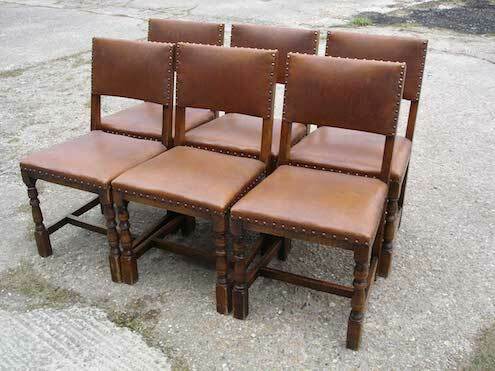 We often get sets of four or six padded leather pub chairs, these usually come in reds, browns and greens. 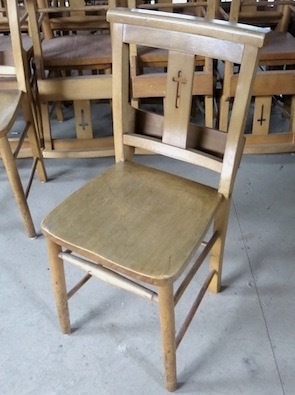 We also supply church chairs , also known as chapel chairs, which are very sturdy and look great in a variety of pub settings. 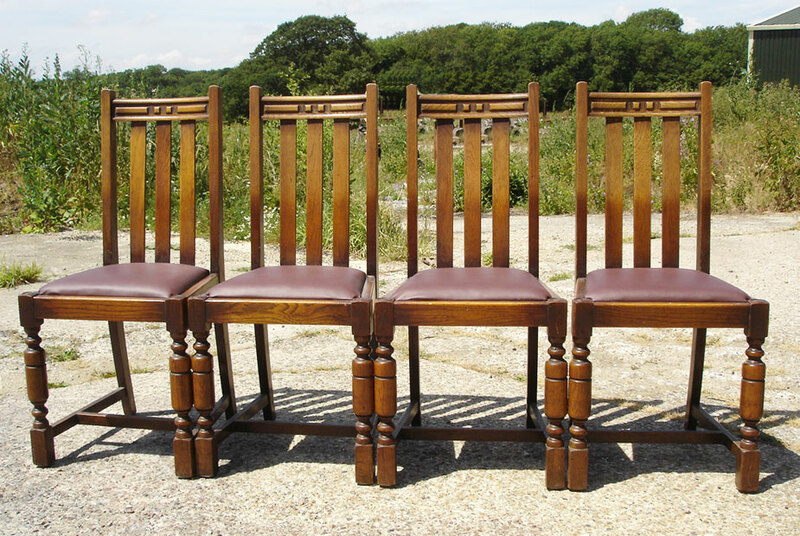 Sometimes these sets of oak pub chairs have matching Armchairs, which look great at the end of a table or near a fireplace if you have one.